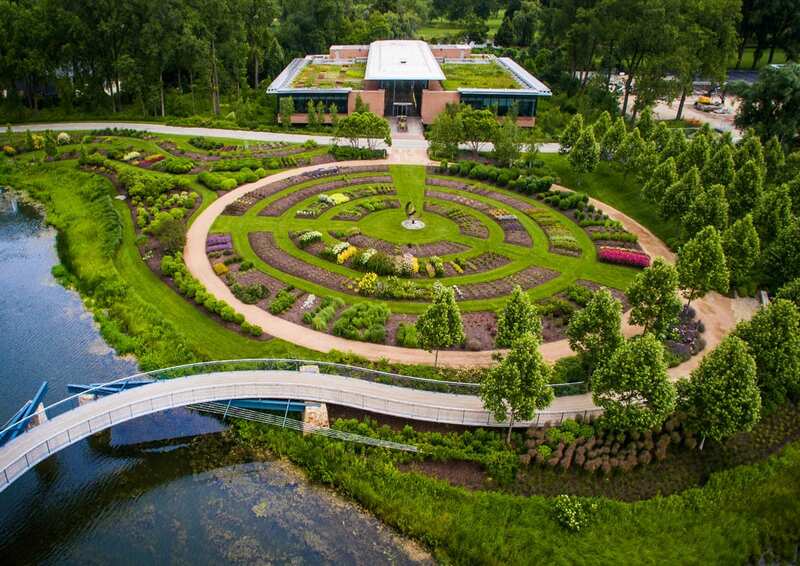 The Chicago Botanic Garden, originally planned and designed by Edward Larabee Barnes and Daniel Urban Kiley, is a unique example of the mutual benefits architecture and landscape can offer each other. 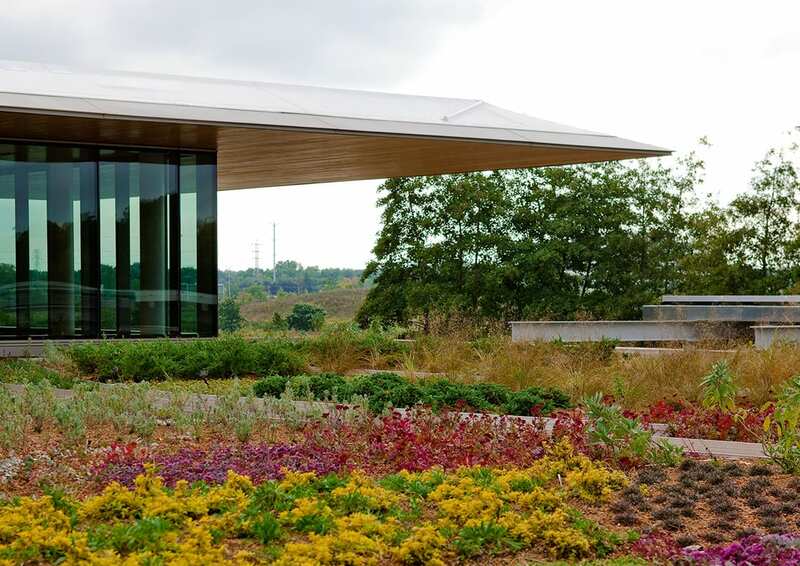 The site is a living museum of flora and fauna, requiring clean and minimalist architectural design to act as a backdrop. 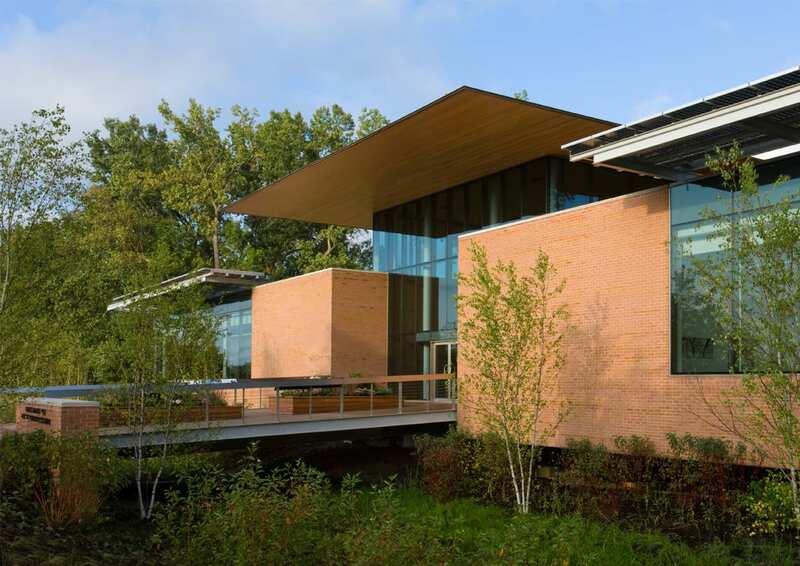 The Plant Conservation Science Center draws on the historic modern masonry architecture elsewhere on the site, while incorporating new technology and sophisticated sustainable design into the building. 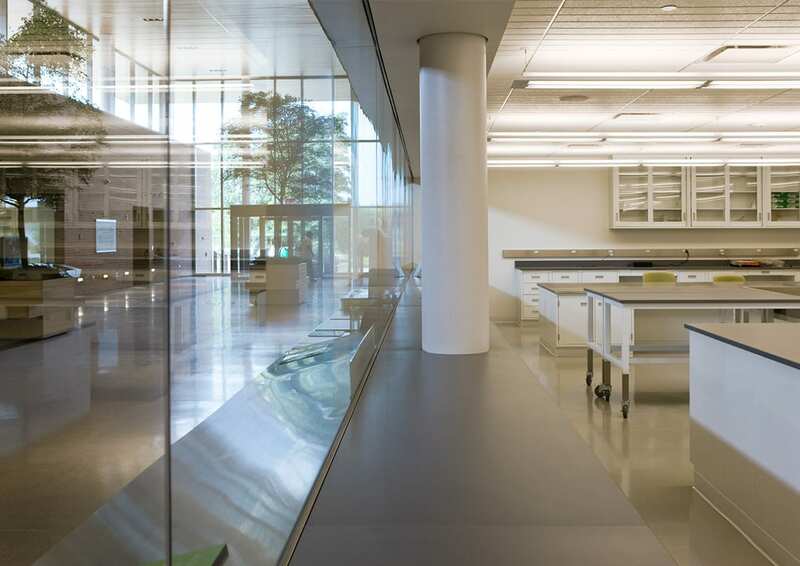 The building contains new glass enclosed laboratories for Northwestern University and University of Illinois horticulturalists, graduate students, staff, and interns. 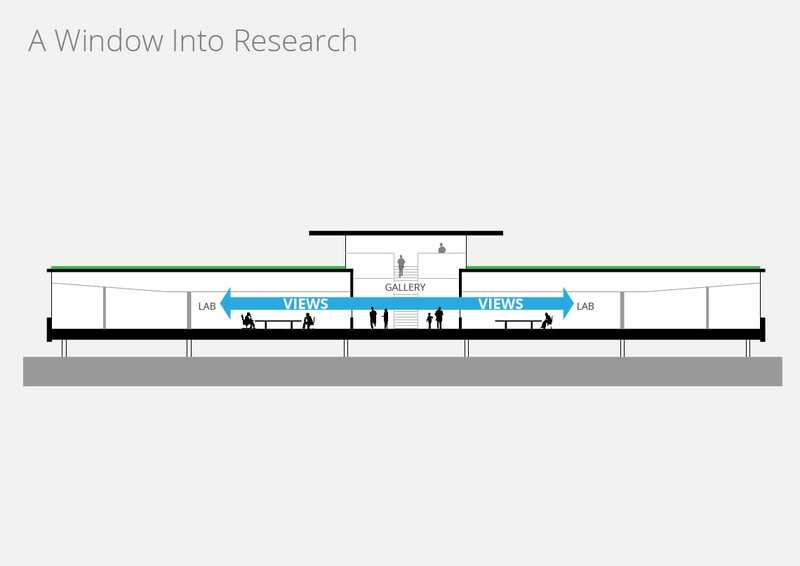 A large lobby space brings the public into the research zone, allowing visitors to watch experiments taking place. The lobby also includes educational displays for children. 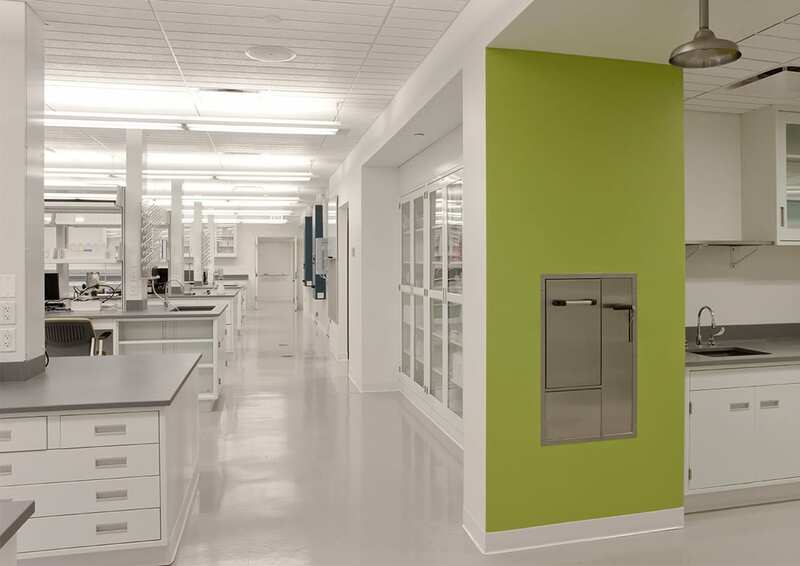 Simple interior planning encourages researchers to interact throughout the day in both private and communal offices, increasing both the productivity of the workplace and the competitiveness of the Plant Science programs nationally. 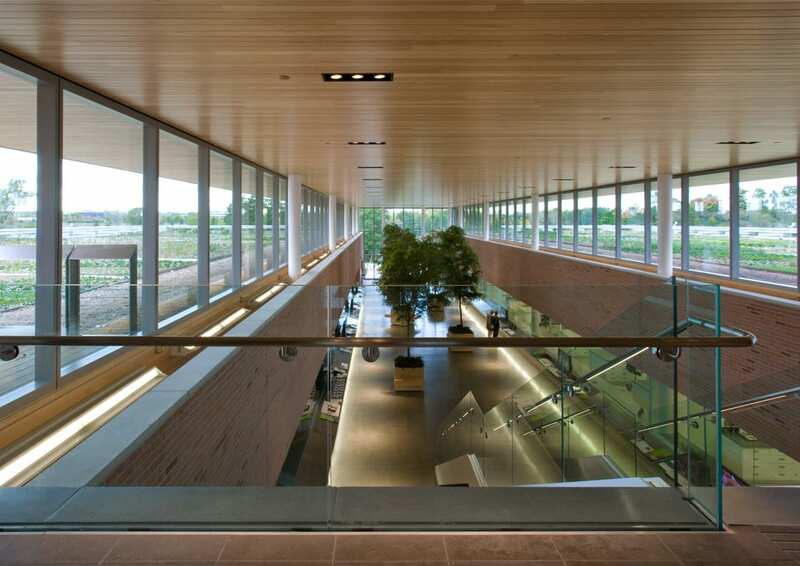 Located on a flood plain, the building is elevated above grade to allow water to move naturally underneath. 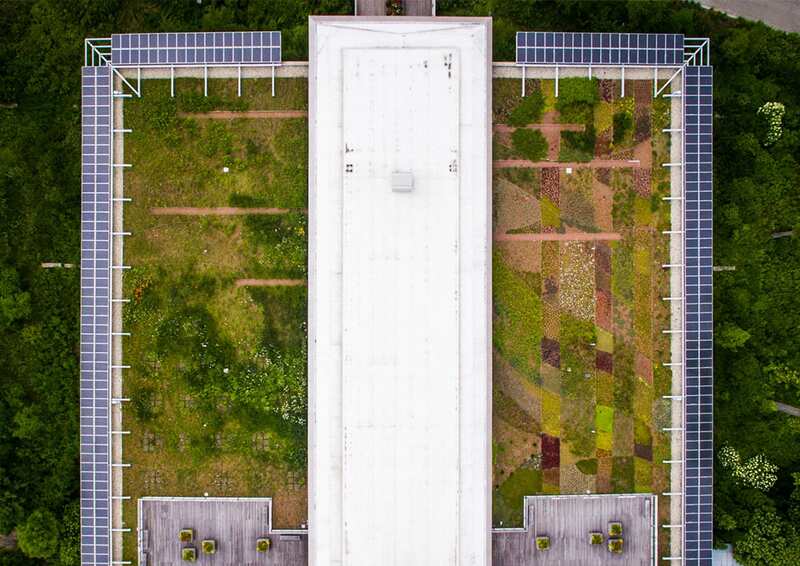 The roof is an extension of the research zone: 16,000 square feet are devoted to different types of green roofs, which are monitored throughout the year for their effectiveness in the Chicago climate. 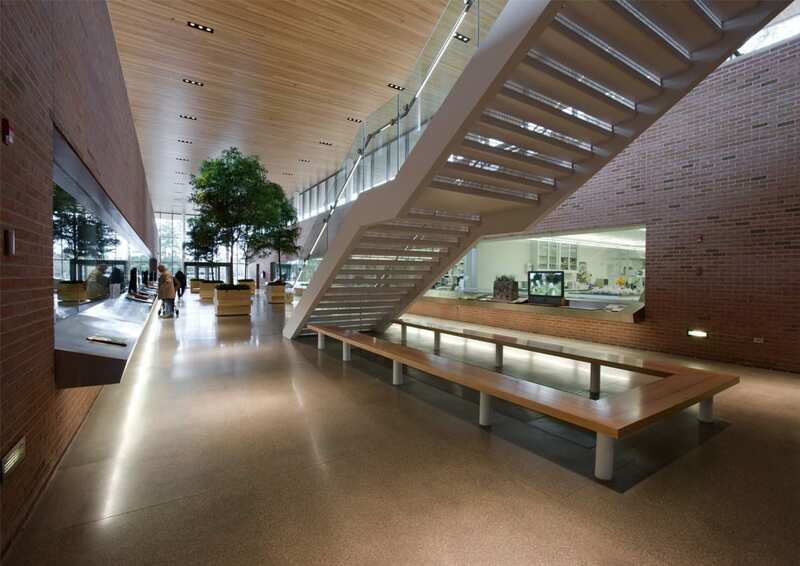 Solar panels line the edge of the roof, creating deep overhangs below that also shade the windows during the day. 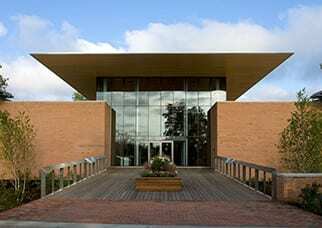 Since its opening in 2009, the Center has received 80,000 visitors annually.